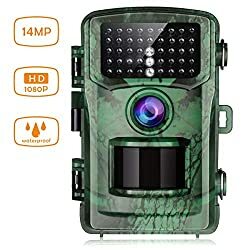 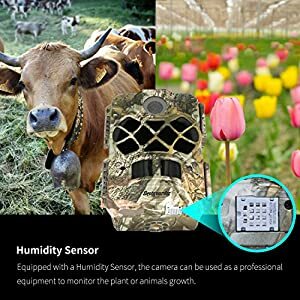 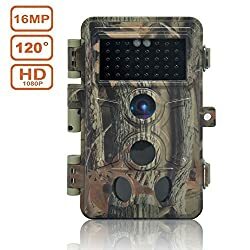 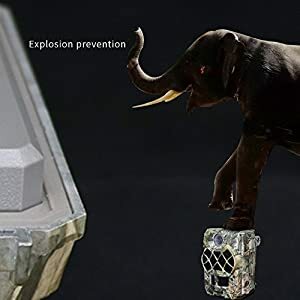 High-Performance Photo and Video: This Game camera captures 30MP crystal clear images and video with super clear sound recording each time motion is detected of wild game right through the day (black and white at night). 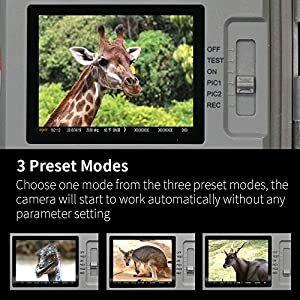 Multi-shot modes to be had and can takes up to 9 photos per detection. 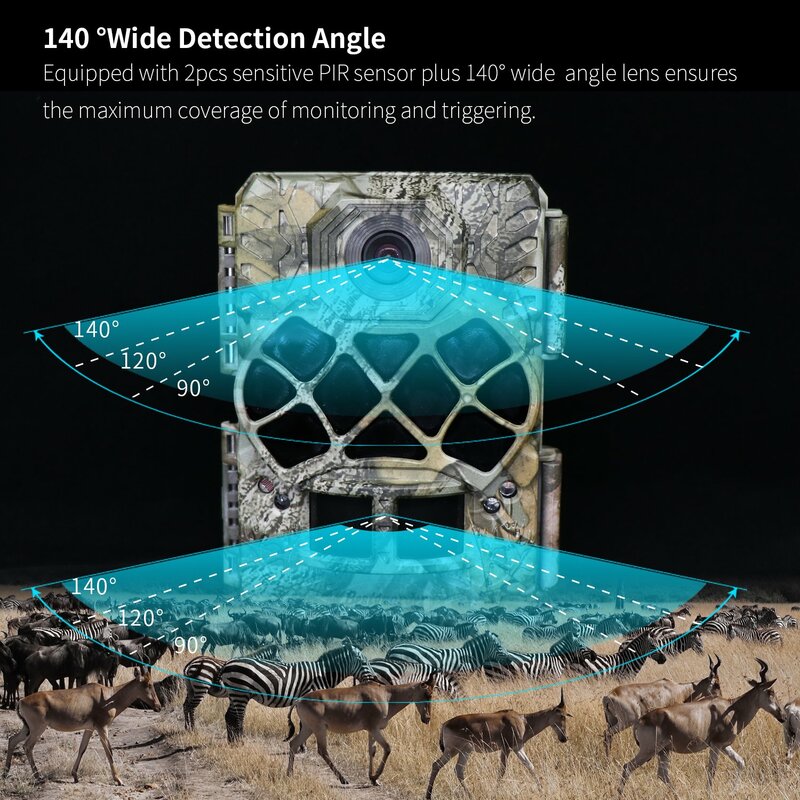 940nm Invisible Infrared Technology: With fully automatic IR filter, this trail camera capture shots of wild game’s natural behaviors by the use of infrared flash illumination technology. 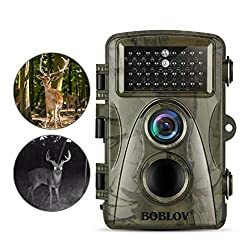 Trigger distance and IR flash range both up to 23m (75ft). 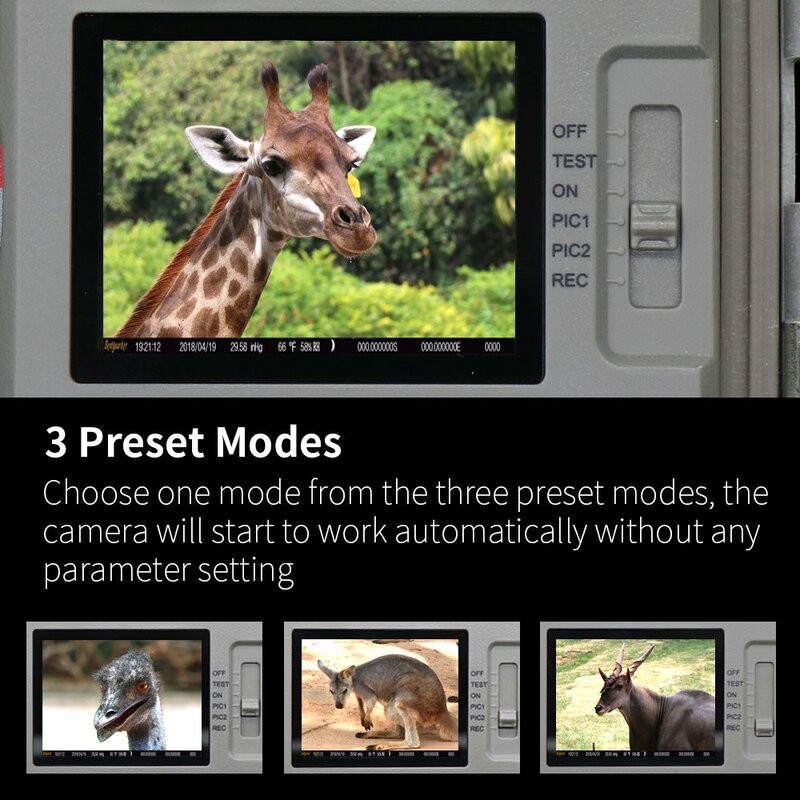 You’ll get great shots of a passing animal in total darkness, without the animal realizing its being documented. 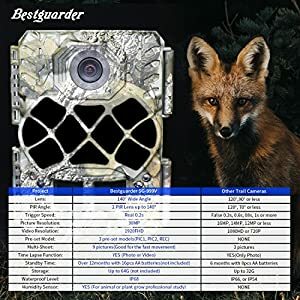 IP68 Waterproof & Sturdy: With IP68 waterproof(dust-proof, drop-proof and rain-proof), this compact and sturdy hunting camera is housed in a weatherproof plastic case that stands up to the elements for dependable longevity all through the season, ready to work in tough environments like desert or tropical rain forest. 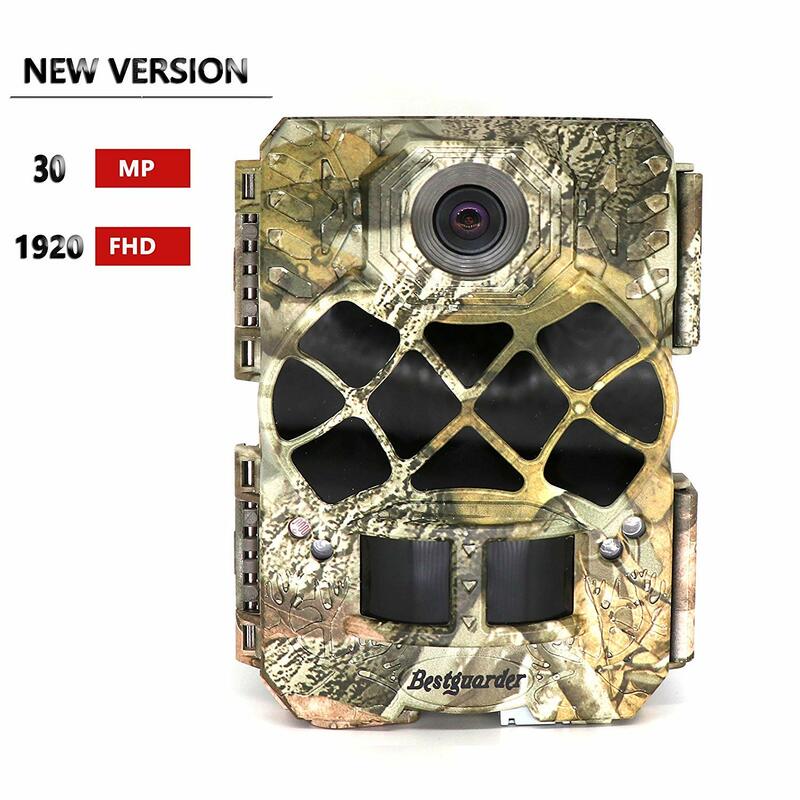 What’s more, with tripod and mounting strap, it’s easy to install this trail camera wherever the wild game is headed. 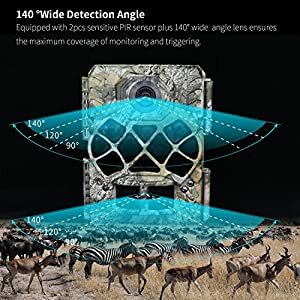 Fast Trigger Speed&Low Power Consumption: An impressively fast trigger speed of less than 0.4second ensure each detected movement is captured quickly and correctly. Along with an energy efficient operating system, the camera (in standby mode) can extend its use of time to 12 months. 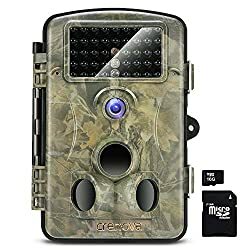 A couple of Functions:This trail camera features time stamp including Moon Phase/Pressure/Temperature, Timer, Realtime Replay, Hybrid Mode, Interval Recording, bringing this camera to A couple of applications beyond your expectation. But even so, Bestguarder guarantee one-year warranty to provide you a hassle-free purchase experience.